BlackBerry is on a mission to stay competitive and relevant in the smartphone market even as it kills off its most iconic product. 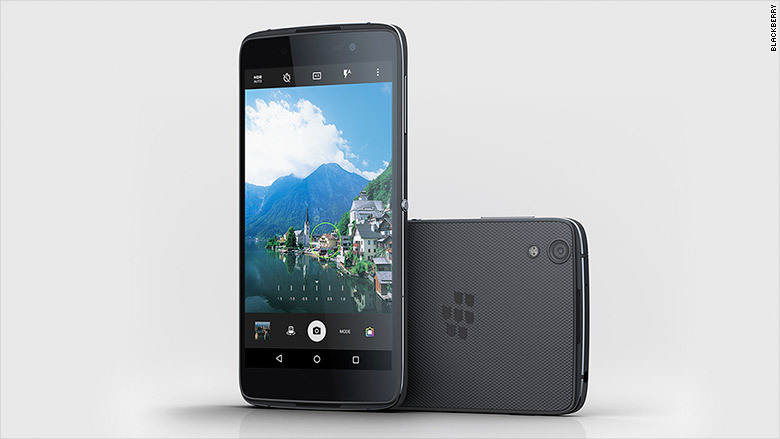 The Canadian company unveiled its latest strategy with a new Android handset Tuesday -- DTEK50 -- less than a month after it said it would stop making the BlackBerry Classic. The company is calling its latest device the world's most secure smartphone. The DTEK50, which will run on Android 6.0 Marshmallow mobile software, comes with its built-in DTEK software, which first made an appearance on the BlackBerry Priv smartphone last year. The software encrypts all data on the phone, including photos and videos, and gives users a way to control and monitor their apps for privacy risks. While the device borrows its name from BlackBerry's existing Android app that monitors users' apps for privacy and security apps, the number 50 comes from a survey conducted by the the company which found only half of respondents believe smartphones are somewhat secure. On the surface, the DTEK50 is a a relatively standard, unimpressive-looking smartphone with a 5.2-inch display. It comes with 16GB of memory, which can be expanded with a microSD card. The device is also its thinnest smartphone to date, coming in at a slim 0.3 inches -- the same as the iPhone 6S Plus. But the DTEK's biggest selling point is its security features. In addition to encryption tools, it touts malware protection baked directly into the software. Most importantly, the phone will install security patches as soon as updates are available. DTEK50 will go on sale Tuesday at $299 and start shipping in early August. BlackBerry launched its first Android phone, the Priv, in November. Years ago, it would have been unthinkable for the company to sell a device that didn't run its own operating software. But mobile habits changed faster than BlackBerry adapted, so now it's playing catch up. Although the Priv sold out at launch, the device hasn't helped boost the company's overall phone sales. With the new DTEK50, BlackBerry (BBRY) hopes to capitalize on the popularity of the Android platform with its brand as a secure software and hardware maker. 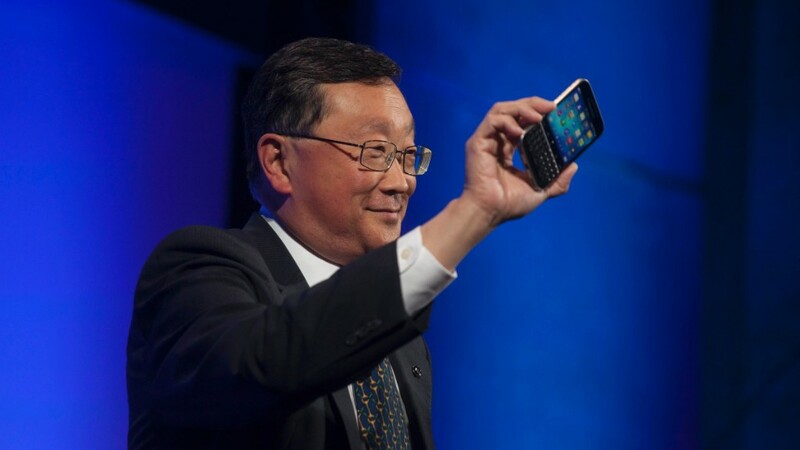 BlackBerry CEO John Chen said last last year that the company needs to sell 5 million smartphones by September to make the business profitable, or he might consider giving up the hardware business. He has since revised this number down to 3 million. When CNNMoney asked Chen earlier this year why BlackBerry is staying in phone business rather than focusing solely on its security software, he emphasized how the hardware component is an important part of its security services. "I would like to provide end-to-end security solutions for my customers where they want it and need it," Chen said at the time. But Chen also admitted that the high-end smartphone market is saturated, and there are fewer ways devices can be distinguished from one another. "We are as guilty as anybody else," he said. "This is an industry issue."